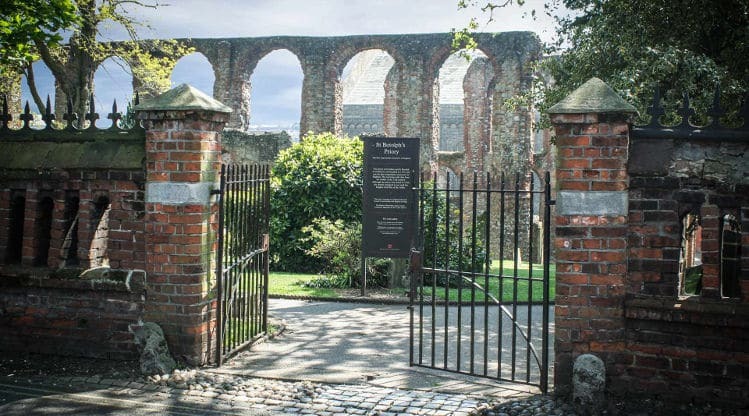 Colchester is actually the oldest Roman city in Britain, so it should come as no great surprise that there are plenty of ghost stories to be found all over the town. Here we have summarised some of the most haunted places in Colchester that you might want to visit if you are going to be in the area at some point. The local Police station is usually not one of the places that visitors to a town plan on visiting, but we are sure that you will want to make an exception for Colchester’s haunted Police station! You see, the Police station was actually built on top of an ancient burial ground dating back to AD5! No wonder there are some strange things going on! Over the years a large number of people have commented on an uncomfortable and somewhat eerie feeling in the ID parade corridor which is usually accompanied by an unpleasant smell. Some people have even reported that they were touched by unseen hands in this area. A couple of witnesses have seen a grey apparition in the boiler room and there also seems to be a naughty poltergeist in the kitchen who likes to move kitchen utensils around often hiding them only to make them reappear in strange spots a little later! Hollytrees Museum and East Lodge are two buildings that lie very close to Colchester Castle. Both of the buildings are said to be haunted by the same female ghost – a white lady who is believed to be the spirit of Miss Anne Lisle. The woman’s portrait actually hangs in The Hollytrees Museum. Visitors believe that when they look at the portrait, they can feel a strange presence lingering behind them! In addition to the White Lady, East Lodge also plays host to a second female ghost – a grey lady. Her apparition is said to be accompanied by the scent of a very old fashioned flowery perfume. Visitors have also reported hearing running footsteps coming from the gun room of the museum and also beautiful piano music being played despite the fact that there is no piano anywhere in the museum. 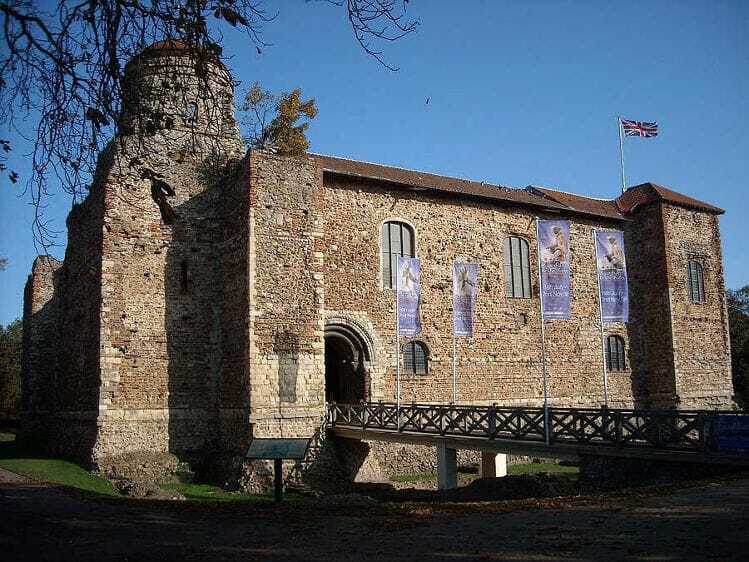 Colchester Castle was built back in 1069 by William the Conqueror. It is now a Grade I listed building and is said to be haunted by the ghost of Quaker James Parnell. He was arrested in 1656 and imprisoned in the castle following a incident in the nearby Coggleshall Church. The story goes that James Parnell was in the church praying when some form of commotion ensued. This resulted in Parnell being arrested for blasphemy among other offences. The magistrate fined him £40, but he refused to pay and as a result was imprisoned in Colchester Castle. He was treated very cruelly by his captors and was made to climb a rope to retrieve what little food they provided him with. On one occasion he fell while climbing the rope and was badly injured. He was left in considerable pain and his health began to deteriorate quite rapidly. He eventually died but that was by no means the end of his tale. These days visitors to Colchester Castle say that his ghost walks to castle moaning in pain. 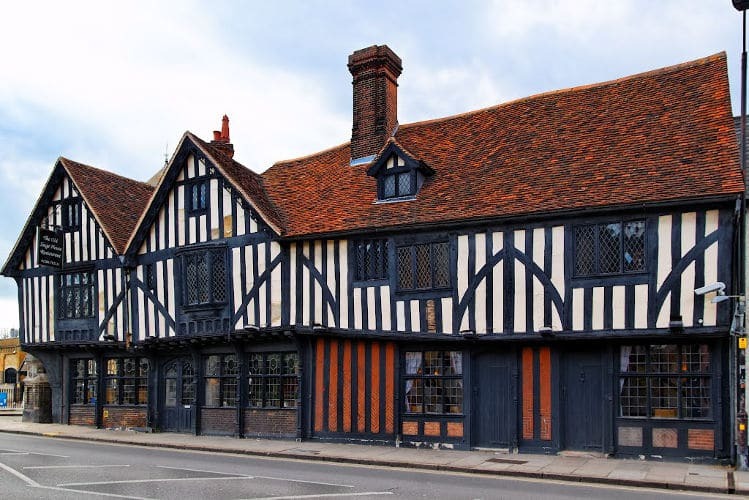 The Old Siege House is now a restaurant in Colchester which is said to have one room which is extremely haunted. In fact, it is so haunted that none of the staff are prepared to work in that room alone! The hauntings are supposed to be linked to soldiers from the English Civil War. In the 1990s there was a report of a ghostly cavalier marching all the way down East Street and then vanishing into thin air outside of The Old Siege House! 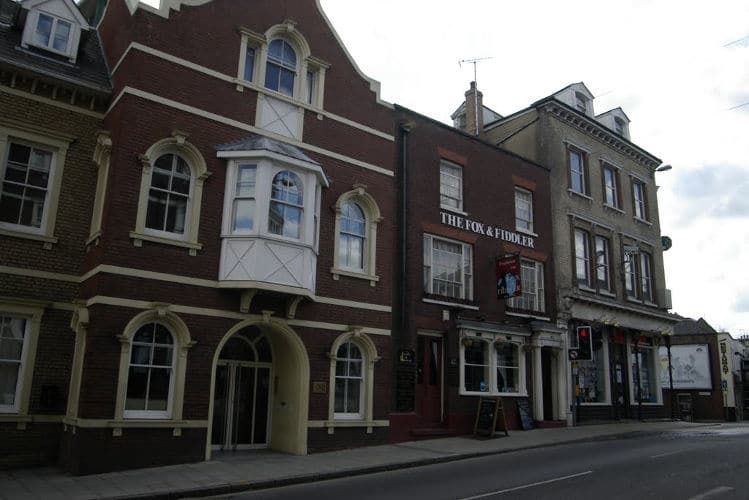 Everybody loves a good old haunted pub, and it certainly seems like Colchester has more than its fair share of those! One of those infamous haunted drinking dens would be The Fox & Fiddler which is said to be haunted by the restless soul of a young chambermaid who goes by the name of Sarah. As local legend has it, the Witchfinder General, one Matthew Hopkins, was the one who was responsible for young Sarah’s death some time in the 1600s. It is said that he dragged the young woman kicking and screaming down into a disused tunnel beneath the pub where he had her bricked up, presumably under suspicion of being a witch! Given the manner of her death we doubt anyone would blame Sarah for becoming a vengeful spirit, but the truth is, she is actually quite mischievous and fun! She has been known to indulge in a few pranks in her time on both staff and customers! Those who have actually seen Sarah’s apparition say that she is a short woman with blonde hair who wears a lacy cap and a maid’s uniform. One of the many Colchester ghosts which have startled residents of the town for years is one that is linked to St Botolph’s Priory. The ruins of the Grade I listed building sin in a cemetery where some of the local children like to play! However, in 1993 a young local girl was playing in the ruins with her friends when she suddenly spotted a dark figure standing next to one of the tombs watching her and her friends! She was understandably startled, but said that the figure simply smiled at her and then vanished into thin air right in front of her eyes! There have been a handful of similar accounts over the years! 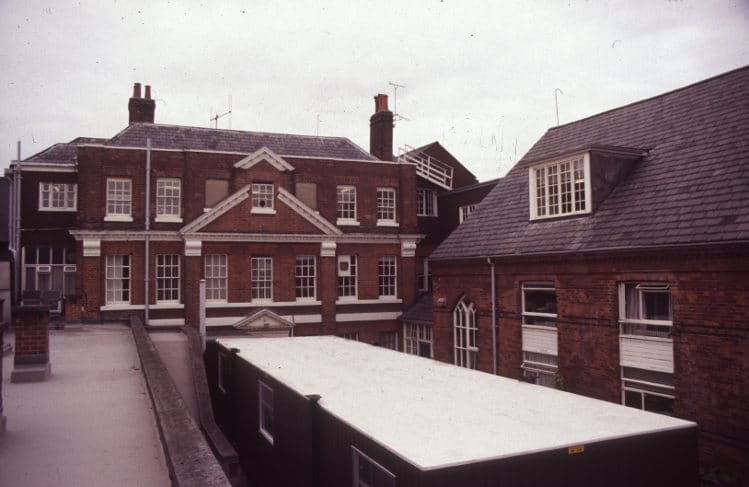 On Colchester’s Eat Hill, there stands a building which was once known as ‘the Hostel of the Good Shepherd’. 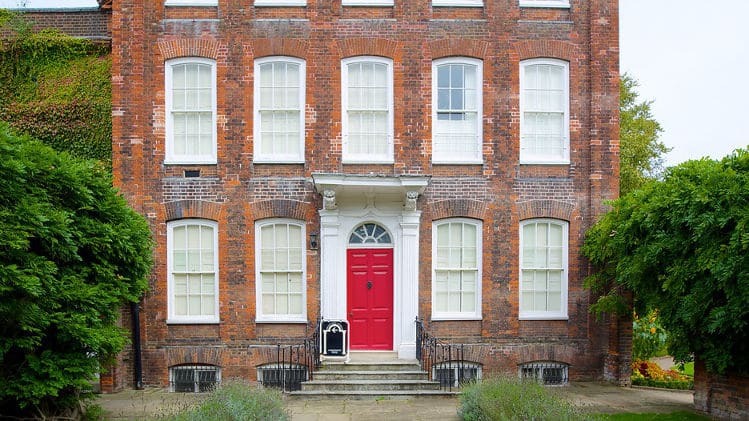 The building is one of the most haunted place in Colchester. Reports of paranormal activity in the building date back to the 1970s when people began to hear unexplained footsteps, strange shuffling and other eerie noises coming from unoccupied rooms in the hostel. There was actually an exorcism performed in the building, but it doesn’t appear to have done any good, since the reports of unexplained noises are still coming in! 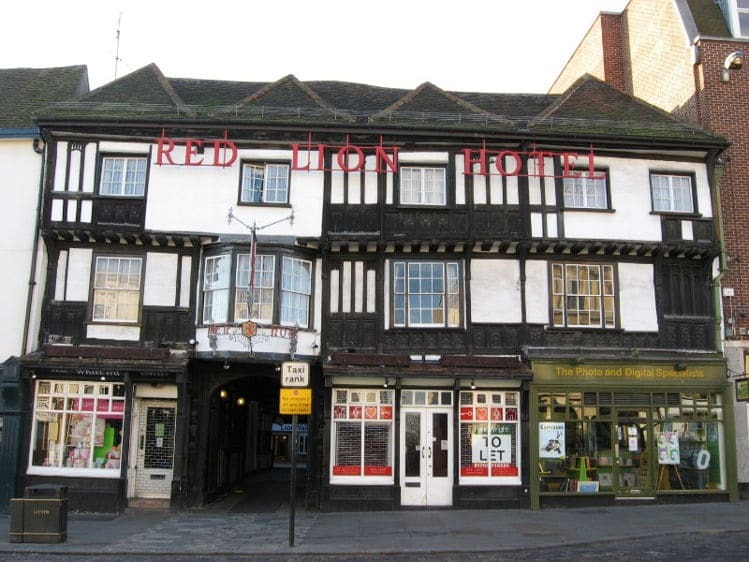 When it comes to choosing the most haunted places in Colchester, there is one place that always seems to crop up – The Red Lion Hotel. The building has a long and colourful paranormal history that dates all the way back to 1465! This is one of the oldest buildings in Colchester and it is home two 3 different Colchester ghosts. The first of the ghosts is believed to be Alice Catherine Millar and she is mostly seen in rooms five, six and ten or in the kitchen. On occasion she is seen walking back to what once would have been her bedroom via a wall which would have originally had a door in it! In fact, the door was bricked up because of Alice’s ghost! Reports of her presence date back to the 1800s and the owner back then was so terrified of Alice’s spirit that he ordered her bedroom to be bricked up in an attempt to stop her haunting his inn. However, as evidenced by the fact that she now simply walks through the wall, this was not at all effective! Alice does not normally interact with people, she is just seen walking, but on one occasion the hotel’s assistant manager was asleep in his room when he awoke feeling like a bolt of electricity had passed through his body. As he sat up he saw a rocking chair in the corner begin to move and a woman slowly appeared in the chair. She asked if he was alright and on his reply that he was she vanished into thin air! It is believed that Alice was actually murdered in the hotel in 1638 which is why her spirit is still tied to the property. The next ghost that guests report seeing on a regular basis is a little boy who tends to hang around in the parliament room. It is usually other children who catch a glimpse of him leading many people to believe that he is just looking for a playmate. The little boy ghost has also been known to make an appearance in photographs taken by people who stay at the hotel. Last, but by no means least is the ghost of a hooded monk who is believed to have perished in a fire at The Red Lion Hotel several hundred years ago. He tends to materialise in the early hours of the morning and is most often seen in the reception area or walking along the corridors. It is believed that on the night of the fire, the monk was attempting to rescue children that were in his care. Perhaps he is still checking in to make sure all of the children are safe when he roams to corridors?